This is hilarious – although we have to wonder what girlfriend Jay has to say about it. If we weren't jealous of Jonathan Boynton-Lee before, we are now! 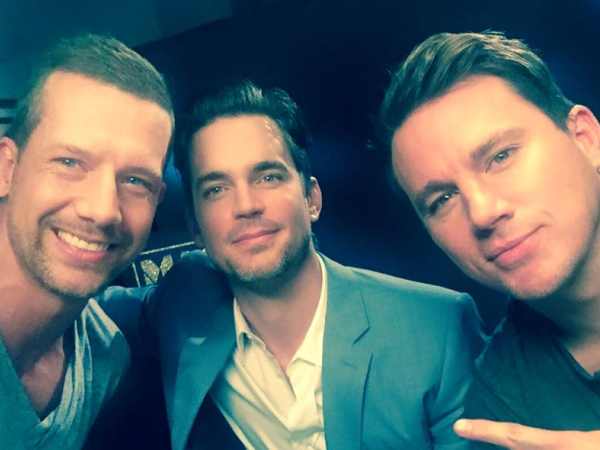 Top Billing presenter and YOU Spectacular's Sexiest Man was spotted getting up close and personal with Magic Mike's Channing Tatum and Matt Bomer. He looks right at home next to the Hollywood hunks! We don't know about you, but we think Jonathan should join the cast of Magic Mike XXL. The Top Billing host even managed to persuade Channing to record his cellphone voicemail message. It's hilarious -- although we have to wonder what girlfriend Jay Anstey thinks of all this!